Appreciate the colours and fascinating behaviour of birds up close, when you put out food for them in your garden. It's in winter that you will probably get the fastest results from putting up feeders, but any time is fine. Don’t worry if it seems to take ages for bird numbers to pick up at your feeders in autumn – they’re probably taking advantage of all the naturally-occurring seeds, berries and insects available at this time. If you're looking for some bird food, look no further than our bumper bird food gift box. It's crammed full of a fantastic selection of seeds, suet and nibbles. 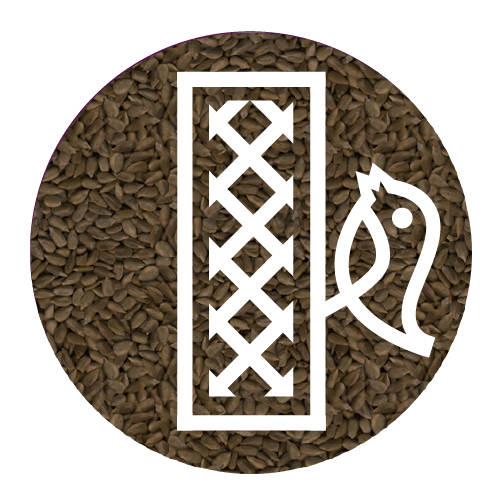 A large box crammed full of a fantastic selection of seeds, suet and nibbles - every kind of top-quality treat, that will attract a wide variety of garden birds. What to feed. Different birds prefer different foods, in the different seasons and different parts of the country. So try these different types of food and adapt to what works best in your garden. Try some of the options listed above. Where to feed. Place the feeders high enough so they are out of reach of ground predators like cats. They should be a couple of metres away from thick cover like bushes, so that small birds can beat a hasty retreat from aerial predators such as sparrowhawks. If you don’t get any visitors, try a different location. Move the feeders to different locations over the course of a year so that you don’t get a build-up of debris underneath. When to feed. It is fine to feed all year-round - just adjust the amount you put out. In summer, when many birds leave to breed in the countryside, they’ll need less food. There’s a lot more food available naturally in autumn and even early winter, as flowers set seed and berries ripen. Fatty foods can go off in summer, so remove any which are past their best. Clear up under your feeders - you don't want a problem with rodents at night. weight-activated feeders which close off the feeding ports when something heavy like a pigeon or squirrel sits on them. Be prepared to buy the best if you are to outwit your 'opponents', and you may need to be quite ingenious. Enjoy the show! Once you've got your feeders up in the right place with the right food, sit back with a cup of tea and watch. It's better than any soap opera! Take a look at this video for tips on how to serve up the most attractive feast for birds!